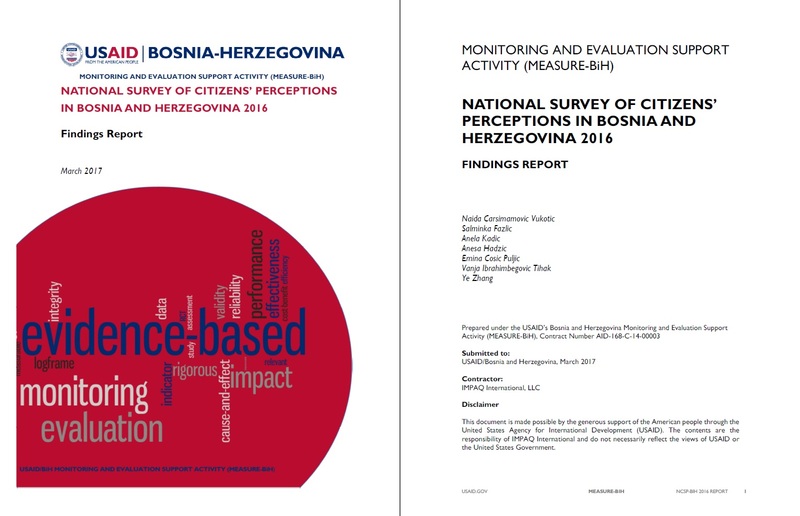 The National Survey of Citizens’ Perceptions in Bosnia and Herzegovina (NSCP-BiH) is conducted by MEASURE-BiH to analyze trends and general attitudes of BiH citizens towards governance, rule of law, corruption, citizen participation and civil society organizations, media, social inclusions, youth development, and other topics. MEASURE-BiH is expected to conduct NSCP-BiH on annual basis. 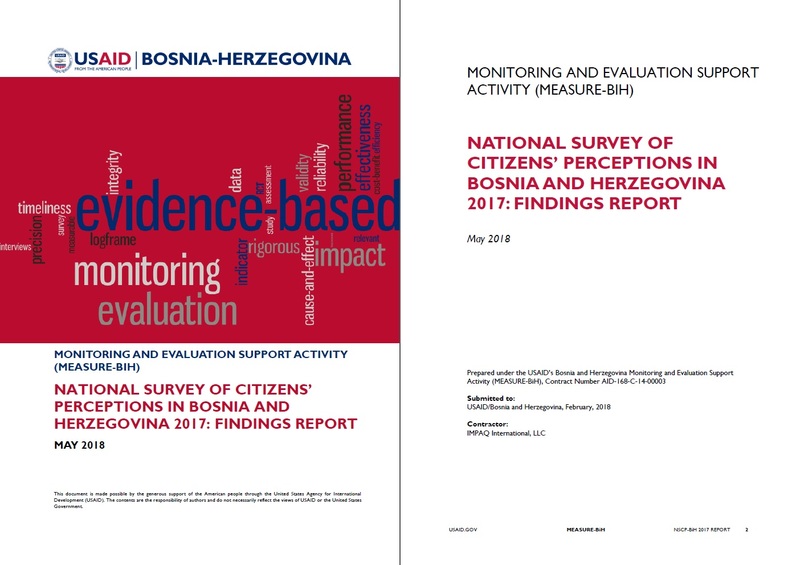 To provide social scientists information on BiH citizens’ perceptions on a variety of issues through a repeated cross-section of a nationally representative sample. 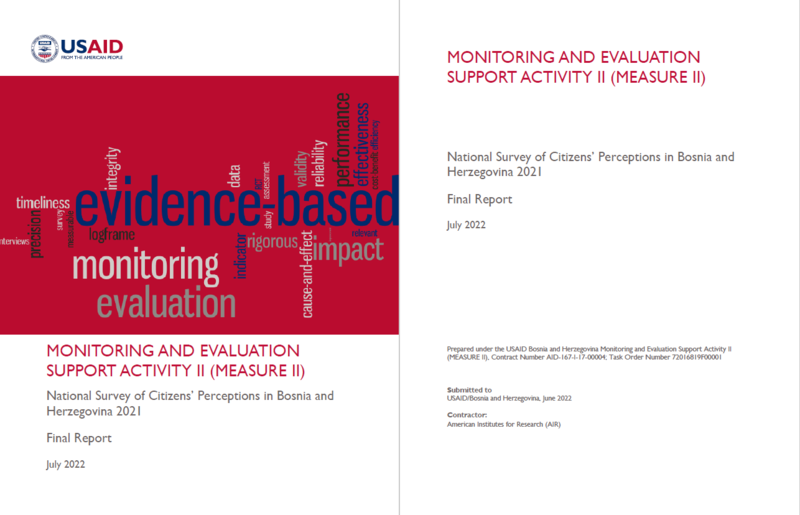 NSCP-BiH is a computer-assisted personal interviewing (CAPI) survey of nationally representative sample of civilian, non-institutionalized adults over the age of 18. Survey design is rigorous with random sampling that ensures representativeness, allowing us to measure estimate precisions through margin of error and confidence intervals. Large sample size allows us to conduct statistical tests to determine if there are any significant differences across Entities or any other subgroups.